Graduating from Baylor University with a Bachelors of Science Degree, Jennifer decided to further her education and attended and graduated with a Master’s of Science from Texas Christian University. Her degree is in communication disorders. 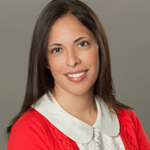 Jennifer Maya currently serves as Regional Director of Rehabilitation for Rehab Synergies. Jennifer has been with Rehab Synergies since its inception. She has over 9 years experience in skilled nursing rehabilitation. She is recently married and enjoys traveling and exercising.